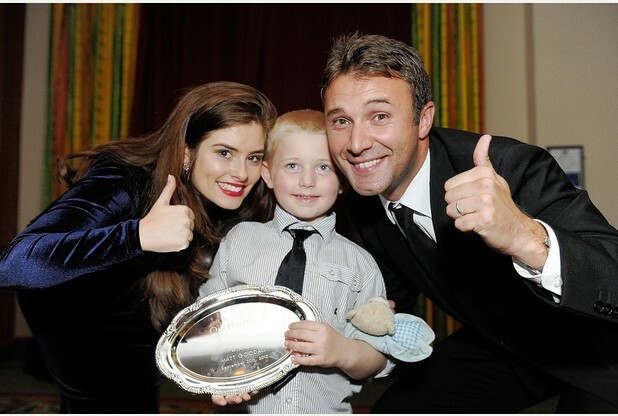 Jonny Wilkes and Rachel Shenton with previous Child of Courage winner Corey Stephens-Goodall. It was back in early 2006 when I sat down with the then Editor of The Sentinel and we talked about creating a community awards campaign. We kicked around some ideas for categories, thought about how the awards ceremony would work and finally came up with a name. Nine years on and Our Heroes is firmly established as this newspaper’s flagship annual community event. On September 25 an array of TV, stage and sporting stars and a host of civic dignitaries will gather on the red carpet to pay tribute to a remarkable group of individuals highlighted through our news pages. 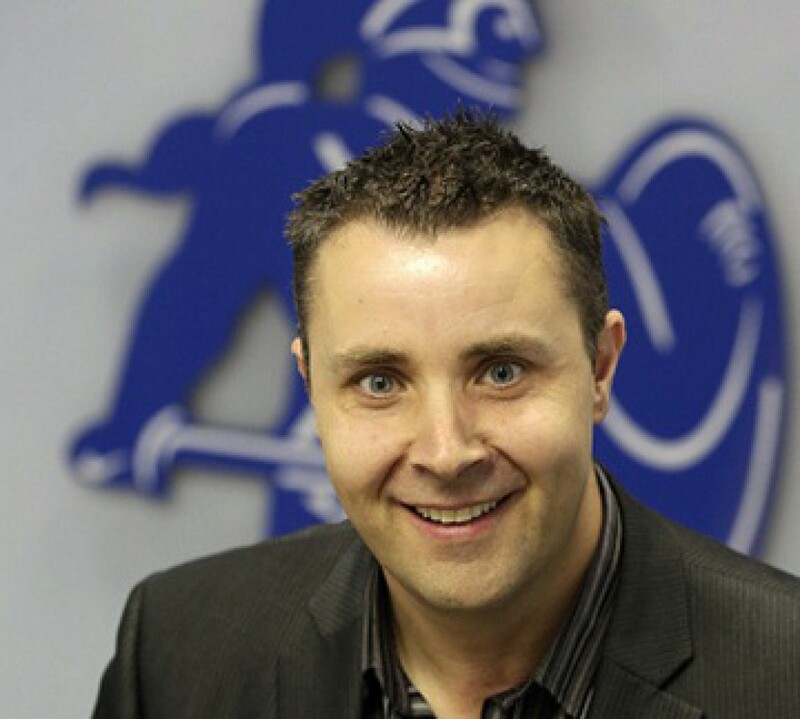 Ask celebrities such as Jonny Wilkes, Nick Hancock, Rachel Shenton, Gordon Banks OBE and Olympic gold medallist Imran Sherwani and they will tell you that the Our Heroes Awards do is an incredibly humbling and grounding experience which makes all those in attendance feel extremely proud of our patch. Every day now until July 31 you can read inspirational and humbling human interest stories in The Sentinel as we shine a light on each award nominee. They range from children of courage and bright young things to charity fund-raisers, volunteers and carers, good neighbours and community groups. They include school stars and heroes of the NHS as well as emergency services and Armed Forces personnel who go beyond the call of duty. Since 2006 we have published more than 1,000 Our Heroes nominations and more than 2,000 people have attended the gala awards dinner. Previous award recipients have included foster carers, charity fund-raisers, paramedics, policemen and women, firefighters, soldiers, aspiring performers, doctors, nurses, receptionists, teachers, school caretakers and residents’ associations. Winners have included cancer drug campaigners, the Women Fighting for Herceptin; courageous youngsters including meningitis sufferer Ellie-Mae Mellor and Caudwell Children ambassador Tilly Griffiths; ‘tin can man’ John Leese MBE who raised hundreds of thousands of pounds for Dougie Mac; and even the Staffordshire Regiment (now 3Mercian). The local media is often criticised for focusing on the negative in society and fixating on bad news. Our Heroes rather disproves that notion because it gets under the skin of the daily acts of kindness, bravery and selflessness shown by so many people in North Staffordshire and South Cheshire. It’s not a campaign which will sell us thousands of extra newspapers but the goodwill and pride generated by highlighting all these amazing individuals is priceless. The Our Heroes Awards is exactly what a local newspaper should be doing – a genuine antidote to all the hardship and misery, all the stories about deaths, crime, accidents, deprivation and job losses. Each tale is inherently positive and highlights an unsung hero, heroine or group who perhaps otherwise would receive no recognition for their extraordinary lives. And therein, of course, lies the problem for my colleagues and I which is that those nominated for an Our Heroes Award don’t believe what they do – day-in, day-out – is unusual. It’s our job to convince them otherwise and to show them how special they really are. In order to do that, however, we need your help. If you know someone, or a group, who deserves recognition then please just take a moment to pick up the telephone or email one of the reporters tasked with looking after a particular category. Please help us to honour those who enrich the lives of others. Tell us who Our Heroes for 2014 really are. I don’t have a personal connection with 3Mercian, or The Staffords, as we call them in these parts. Not unless you count the fact that my great-grandfather was with the North Staffords, fighting in France during the First World War. Or the fact that the last commanding officer of The Staffords, before they became 3Mercian, is a mate of mine. But I’ve always felt an enormous sense of pride in our local regiment, in its history and honours, and in the lads who don the uniform and do what must be one of the toughest jobs imaginable. That was why I thought it was so important that we fought to save the name of The Staffords earlier this year when Ministry of Defence (MoD) cutbacks almost led to the name being erased from the Army’s Order of Battle. During the summer I took my girls to the Staffordshire Regiment Museum at Lichfield. We enjoyed looking at all the exhibits – from Great War machine guns, Waterloo colours and battle dioramas to medals for valour and the terrific Coltman VC Trench – a faithful recreation of a WWI frontline British trench, complete with sound effects. What came across to me during that visit was that The Staffords is, and always has been, a collection of remarkable individuals, rather than simply a regiment or a unit – each man as important as the next. 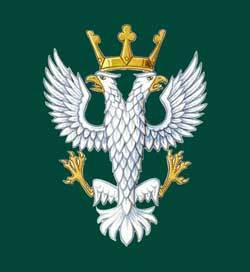 When the news broke on Tuesday evening that one of the lads from 3Mercian had been killed by a suicide bomber in Afghanistan I experienced a strange mixture of emotions. I found it incredible that anyone would be mad enough to do such a thing. I felt desperately sad about such a tragic waste of life and the heartache that it will bring to the soldier’s family and friends. I also felt enormous pride at being reminded that the fallen Stafford and his comrades have been out there in Helmand again, gutsing it out, and under no illusion that they may have to make the ultimate sacrifice for Queen and country. Warrant Officer Class 2 Ian Fisher, who lived in Werrington, was killed doing the job he loved in the certain knowledge that his family and friends were justly proud of the man he was. The loss of any British soldier is an absolute tragedy but it will always be felt more keenly in the areas where recruiting for his unit is strongest and that bond with a city, town or county will, to my mind, always be priceless. That we view them as ‘Our Boys’ (or girls) has to be a good thing. It is good to know then that this newspaper has always supported our troops – from as far back as the Zulu Wars to last week’s update on operations in Helmand province. I’m told that soldiers on operational tours love to hear news from back home, whether that’s Stoke and Vale results or the stuff of day-to-day life that fills the column inches of The Sentinel Monday to Saturday. By the same token, our readers – not simply relatives and friends of services personnel – are genuinely fascinated by the work they do and love to read about local lads ‘doing their bit’, as we say round here. It’s a mutually-beneficial relationship and one which I value enormously. Long may it continue. Last night I was asked to officiate at the signing of the local Armed Forces Community Covenant at the in Stoke. This is an MoD initiative whereby local authorities across the country pledge to do more, in conjunction with other organisations (and, ultimately local businesses), to offer help and support to ex-services personnel who settle in the area. This help and support can include guarantees to give job interviews, provide assistance with benefits and housing needs and generally help ease the transition from military life to a civilian one. It was pleasing to see so many people at the King’s Hall last night and to hear that so many local organisations are prepared to give a virtual hug to some very worthwhile individuals who have served their country. It is well documented that ex-services personnel, given the demands of their unique roles, often find it hard to adjust from military to civilian life, put down roots or start a new career. In my view the least we can do, as a society and – more pertinently – as a city and county, is to offer them our full support and acknowledge the debt of gratitude we owe for the job they’ve done. I’ve always felt that we should be more like America in our attitude towards services personnel. The job they do is extraordinary and it is one which, in truth, very few of us are cut out for. Perhaps, at last, we are starting to recognise this.